The foreign exchange market is perhaps the most interesting of all markets, as it is one of the few markets where the sheer size of the market makes it almost impossible for any one person, institution or government to control. Forex has come of age and is now one of the most exciting markets for traders to become involved in. Even though I have traded many markets I have always had a soft spot for forex. Perhaps it is because it was the first market that I learned to trade or it might be that it just seems so familiar to me. Whenever I look at a FX chart, it's like an old friend that just keeps getting bigger and bigger. 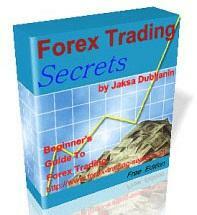 The word FOREX is derived from Foreign Exchange and is the largest financial market in the world. Unlike many markets the FX market is open 24 hours per day and has an estimated $1.2 Trillion in turnover every day. This tremendous turnover is more than the combined turnover of the New York and London Stock Exchange on any given day. This tends to lead to a very liquid market and is therefore a desirable market to trade. The foreign exchange market allows customers, fund managers and banks to buy and sell foreign exchange on a global basis. The trade of goods, services, loans and speculation leads to a very active market. With the introduction of the mini account, deals can be anything from a few thousand dollars to billions of dollars. The thing about the forex market is that transactions need to happen. When I say that they need to happen - I mean that large institutions and governments need to conduct and exchange currencies on a global scale. They have virtually no choice. Companies raising money in the stock market also have no choice, but an investor does not need to buy a stock. A government has no choice when it comes to forex. Forex has no centralized market, unlike many other securities. There is no single centralized place for the trade of forex. 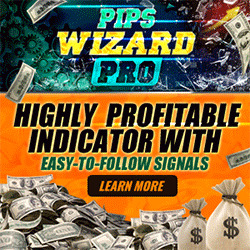 Traders buy and sell forex via telephones and computers linked to brokers, bank and other traders around the world. You will often hear the term INTERBANK discussed in forex terminology. This originally, as the name implies, was simply, banks and large institutions exchanging information about the current rate of exchange at which their clients or themselves were prepared to buy or sell a currency. INTER meaning between and Bank meaning deposit-taking institutions - normally made up of banks, large institution, brokers or even the government. The market has moved on to such a degree now that the term interbank now means anybody who is prepared to buy or sell a currency. It could be two individuals or your local travel agent offering to exchange Euros for US Dollars. You will however find that most of the brokers and banks use centralized feeds to insure reliability of quote. The quotes for Bid (buy) and Offer (sell) you see will most always be from the larger players in the market. London in the United Kingdom is the single largest center for the exchange of forex. Average Daily Foreign Exchange Market Turnover In The Main Centres percentage of trade is that it has always been a financial center and also because of time zones. Source: Bank Of International Settlements they can deal with other traders in Tokyo, Hong Kong or Singapore whose trading day is just coming to a close. During the later part of the trading day in London, the U.S.A market opens up and so catches a healthy portion of that market as well. Here is an interesting fact for you. Up until the 1930's the British Pound used to be traded via telex machines run through cables, which led to the Pound being nicknamed ''cable''. You can still often here the Pound called cable. Also, until the Second World War the British Pound was the main reserve for most other countries. After the Second World War Britain's economy was in tatters and the U.S. Dollar became the reserve of most countries. This largely came about as a result of the 1944 Bretton Woods conference in New Hampshire, which established the foundation of the postwar global economy and the birth of the World Bank along with the International Monetary Fund.